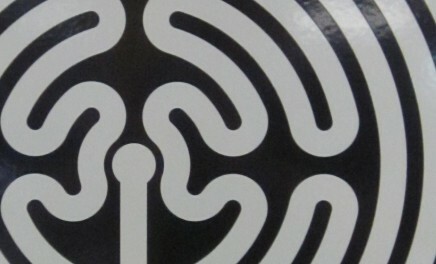 Mazescape were asked to create a series of 270 Labyrinth designs for a major new artwork by artist Mark Wallinger, commissioned by the Transport for London Art on the Underground project to celebrate the tubes 150th anniversary. 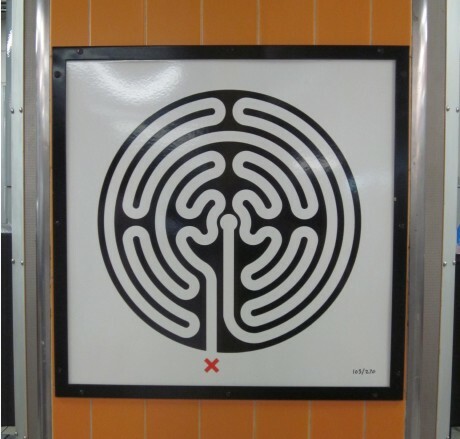 Outline – Mark Wallinger, one of the UK’s leading contemporary artists, has created a major new artwork for London Underground to celebrate its 150th anniversary. The result, commissioned by Art on the Underground, is a multi-part work on a huge scale that will be installed in every one of the Tube’s 270 stations. Wallinger sees the commission as a unique opportunity to explore the potential of the Underground as a whole. Wishing to forge a poetic link with the Tube’s rich history of graphic language, he has made a work that sits comfortably alongside the two of its major design icons, the roundel and Harry Beck’s Tube map, and yet stands out as a new symbol marking the Tube’s 150th year. The Brief – We were approached by Art on the Underground to assist with this huge scale project, an artwork that would cover the whole of the London Underground network, with a unique presence in every one of 270 stations. 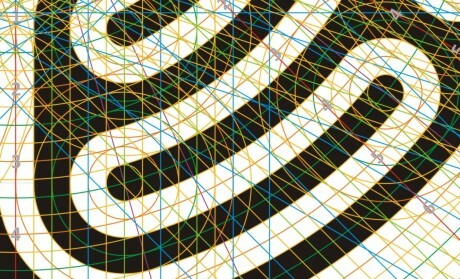 No project of this type has ever been attempted by any maze designer, so we were keen to become involved. The key to the project from a designers perspective, was that all 270 designs needed to be unique in terms of the journey that is described by the pathway through the labyrinth. This was a crucial part of the vision Mark Wallinger had for the artwork and formed a central plank of our development work.As we were working in unknown territory, we focused initially on a structure for the project based around the nomenclature of the labyrinth designs. We needed a way to define a labyrinth journey from its start at the outside of the circle to its end at the centre. 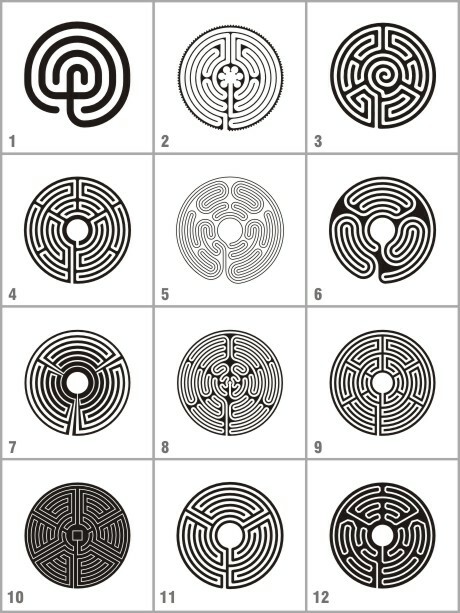 We achieved this task by using a sequence code that would ensure we could compare designs and guarantee all 270 labyrinth were unique.